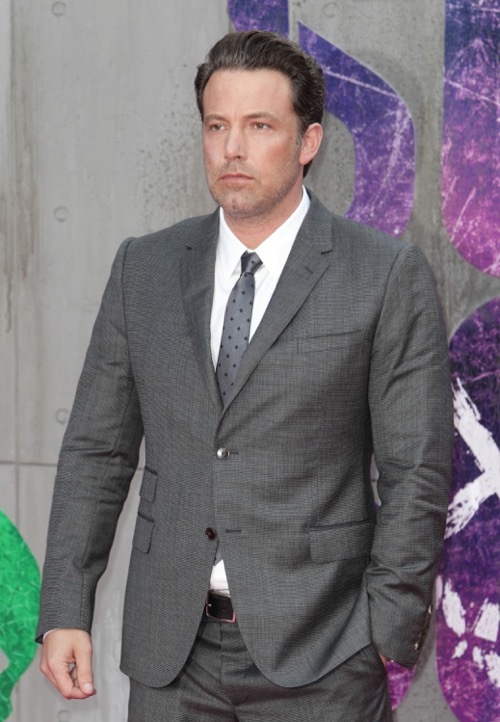 Ben Affleck Meltdown: Actor Wants Divorce, Jennifer Garner Refusing To Give In? According to Page Six, eyewitnesses couldn’t help but notice how ‘odd’ Ben Affleck looked like as he suffered an ‘unfortunate zipper malfunction’ and couldn’t keep his shirt tucked into his pants on the red carpet. With Jennifer Garner no where in sight, the “Batman v Superman” star looked hung over and bloated and worse, in desperate need of an intervention of sorts. Clearly, there must be something going on as Ben Affleck hasn’t looked this way since he was treated for his alcohol addiction back in 2001 and after his Jennifer Lopez breakup in 2004. The actor has had his fair share of ups and downs with his multiple addictions and it wasn’t until his marriage to Jennifer Garner helped him put his life together. And now that Ben Affleck and Jennifer Garner’s separation and impending divorce are making headlines, is the actor going back to his old habits? Is Ben Affleck parting whenever Jennifer Garner is not around? Whatever the case, this is a pure indication that Ben Affleck’s meltdown means he wants to finalize his divorce, but Jennifer Garner is the one who is refusing to give in. Of course there’s going to be no doubt that Jennifer Garner is going to be livid when she finds out that Ben Affleck has been having “late nights” out again. Jennifer Garner and Ben Affleck might no longer be together, but technically they are still married and the actress’ family image means everything to her. She can’t have Ben Affleck partying all night long while she’s back at home taking care of the couple’s three children by herself. Not only will Ben Affleck’s appearance make people wonder what he’s been up to on his own, but it will also cause him major problems with Jennifer Garner when he returns to L.A.
Tell us CDL readers, what do you think? Is Ben Affleck’s divorce making him hit the party scene again? Is Ben Affleck in danger of losing everything he has built in both his personal life and his career? Drop us a line below and of course don’t forget to check back with CDL for all the latest updates on Ben Affleck and Jennifer Garner along with all of your favorite celebrity couples right here. Jennifer Garner Decides on Ben Affleck Divorce: To Split or Reconcile?